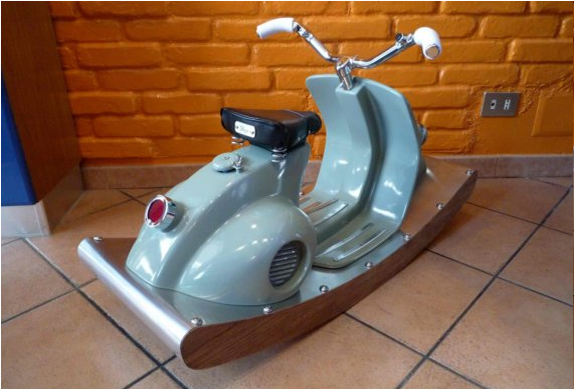 How cool of a gift is this for your kid, an italian scooter rocking chair! 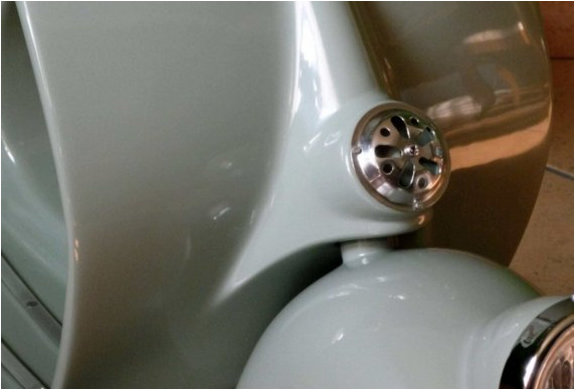 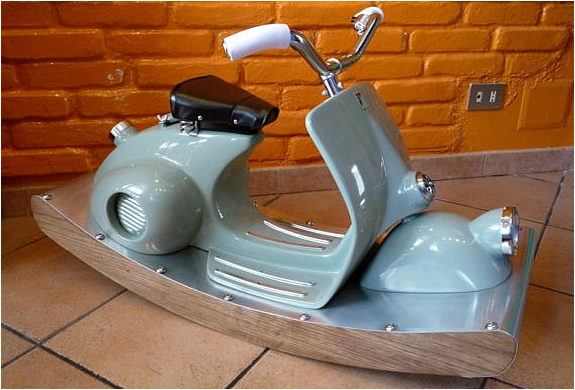 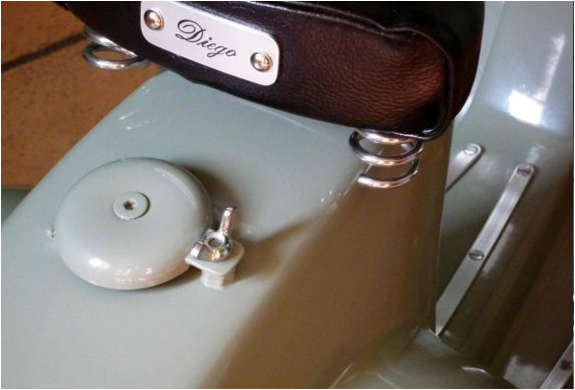 This "rocking-vespa" is made of fiberglass with aluminum and steel details, it also has working lights and clacson. 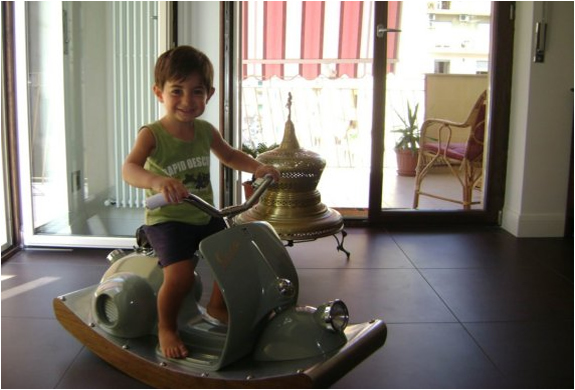 The rocking chair is completely handmade and you will have to place your order, it should take arround 60 days for delivery.